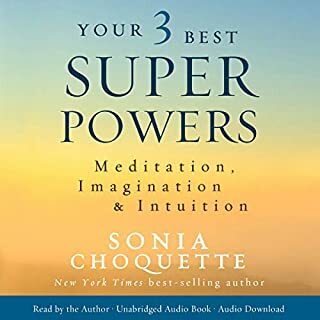 In this breakthrough audio experience, which features a mixture of live and studio recordings, vibrational healer and revolutionary psychic Sonia Choquette reveals the secrets to awakening your intuitive voice and shows you how to "trust your vibes". 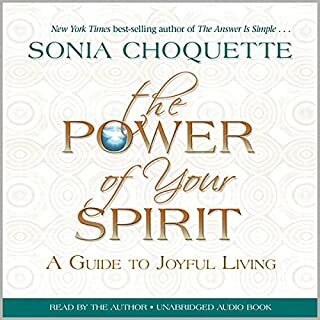 In this enlightening audiobook, spiritual teacher Sonia Choquette will explain that, even though you can’t control the outside world, with the power of your Spirit, you can create a sense of purpose within that brings about profound contentment and personal peace—no matter what is going on around you. This little book will help listeners use meditation and tap in to their superpowers, allowing them to take charge of their minds, their creative powers, and their inner guidance systems. While most meditation books focus on gaining clarity, focus, efficiency, and easing stress, Your 3 Best Superpowers offers a unique way to learn about intuition and the self, from an esteemed spiritual teacher and visionary guide. Darn!! I was disappointed this time. It's a well-known fact that everything in the universe, including you, is made up of energetic vibration, and when your personal vibration is harmonious with your intentions and desires, you immediately and effortlessly create all that you seek. This remarkable audiobook has been channeled by six-sensory revolutionary teacher and healer Sonia Choquette and singer/songwriter and sound healer Mark Stanton Welch to help you align your internal energetic vibration with your greatest desires, thus opening you to experience all you dream of. Have you ever had the sense that the phone was going to ring and you knew who it was? Have you ever experienced some unexplained phenomenon? Then there is a good chance that you might be psychic. No matter where you are with your psychic abilities, this collection of audiobooks was curated in order to help you develop and strengthen your abilities on six levels. 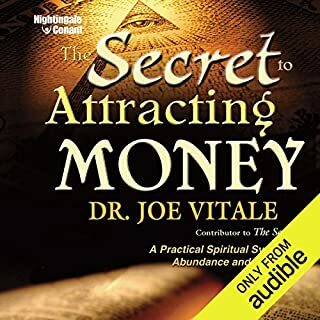 After you have listened to this audiobook, you will have the knowledge to start tapping into more of your abilities. Internationally acclaimed psychic medium and best-selling author John Edward has captivated audiences worldwide with his unique abilities to connect people with loved ones who have crossed over to the Other Side. Now in this groundbreaking book, John takes you on an infinite quest to develop your own psychic intuition as a powerful tool for taking charge of your life. All people are endowed with an amazing psychic ability. This natural gift can give us the power to expand our awareness, reconnect to our Higher Intelligence, and discover a personal pathway to our souls. 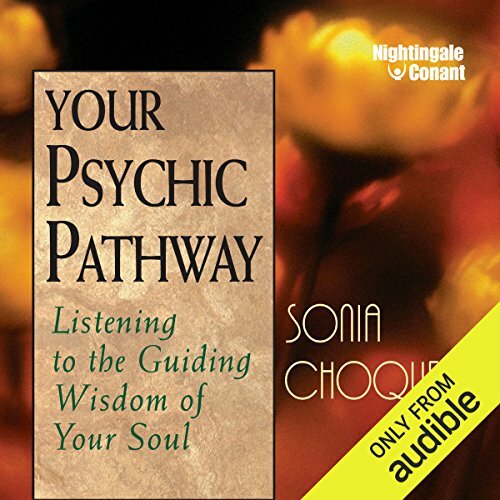 Leading spiritual teacher Sonia Choquette has created Your Psychic Pathway: Listening to the Guiding Wisdom of Your Soul, which contains clear, inspiring, and practical guidelines for tapping the psychic powers within you. As you begin to awaken your psychic sense, it is helpful to recognize how naturally psychic you already are. For too long, most of us have tuned out the psychic gifts that are our birthright. And, as a result, we take wrong turns, miss important opportunities, or deny the all-knowing voice that urges us to move in new directions. In this visionary and energizing program, Sonia Choquette will show you how to reclaim the greatest personal power of all - the power to choose wisely and reap the rewards of a life lived with direction from a higher knowledge. Discover that you are psychic (even if you think you aren't). Honor your inner voice in making appropriate and clear decisions. Avoid conflict through meditation and enhanced self-awareness. Act on your instincts by keeping a psychic journal of coincidences and synchronicities. Clear away negativity for greater clarity and purpose. Understand how to deal effectively with other people. Use psychic tools like the pendulum, automatic writing, and psychometry. I loved this book so much, I listened to it again! I've been focusing a lot and have seen a change in just a week! I loved Sonia's narration, I plan on listening to all of her books! well perhaps some people need all the preamble. i would rather get to the straight facts. there was good content there though but it could have taken a lot less time. Fun to listen to, insightful, and educational. If you could sum up Your Psychic Pathway in three words, what would they be? What other book might you compare Your Psychic Pathway to and why? Sonia's other books that I own, which are great! Trust Your Vibes and Ask Your Guides. The others I have listened to or read from other authors, seem more about the writers experience whereas Sonia is about teaching how to have your own experiences, "how to fish". What about Sonia Choquette’s performance did you like? The best part of her books is that she uses, and is able to use, her own life experiences, which by the way, the less perfect she appears the better. Phrases from all of the books I have from her run through my mind daily. As I run through life I see a new way to try and incorporate my guides and my sixth sence. My most extreme reaction would be in the excitement I feel when I use her direction and it works!! This is the first time I have heard her Husband Patricks voice in the meditation in the end of the audio book. I was a bit surprised, but it gave me an idea. I'm not sure if Patrick shows up in any of Sonia's other books but I think he has a lot to teach from his perspective of living with Sonia since most of us are coming at this from his perspective. Keep it up Sonia and Patrick! I'll keep buying them. Even though I haven't caught up with all the exercises and implementing them in my life, I thrive on perspective. I would love it if in your future writings you could shine more light on some of the more advanced experiences, possibly your work with the Emissaries of Light, or anything else you feel inspired to write. What does Sonia Choquette bring to the story that you wouldn’t experience if you just read the book? I don't know. I've not read the book. Her honesty and her passion ring true through her voice about the subject. What insight do you think you’ll apply from Your Psychic Pathway? If I can only say one, I'd choose Meditation (finally....everyone has said so but I've never started). But everything presented is something I'm looking forward to applying. I was leery of spending so much money on an audio book. My previous purchase in this genre was very poor experience. I'm writing this review less than halfway through this book. It's worth every penny. I enjoyed the author and always love it when it is narrated by the author. however this audio could have been edited better. it is several of her programs put together. This was my first exposure to Sonia Choquette, and I am so happy I spent the credit on this book. Choquette is a spiritual teacher, someone who is confident in her own and others' intuition. 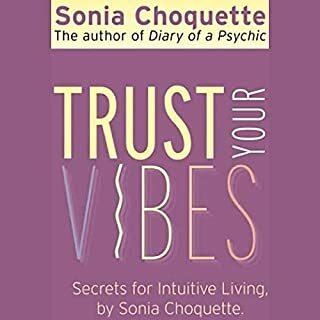 In this book - much of which is a live talk - Choquette shares her own experiences, and teaches how we can follow our own psychic pathway. A big part of it involves listening to our hunches, developing the confidence to listen and to recognize our insights. I love Choquette's soothing and happy voice, and there is a lot of humour here, too. I love the story of how she railroaded her husband and the banks and everyone else so she could buy a house she wanted; right before closing, she decided, &amp;quot;No way!&amp;quot;. This was a funny story of following a gut feeling. I would recommend this book for anyone who likes Gabby Bernstein or, especially, Tosha Silver. In fact, I bought this after listening to Outrageous Openness by Tosha Silver. So easy and relaxing to listen to Sonia read. She covers so many topics in the metaphysics area and does so in a way that are uneasy to understand. I love her little stories, tips, and recommendations. Great for those who are already on the path, as she explained a few things better so that I now have new ways of looking and understanding things I thought I already had an understanding of. I made TONS of books marks so that I could go back and listen to later. Highly highly recommended for anyone at any stage on the path. :) A must have for your spiritual library. 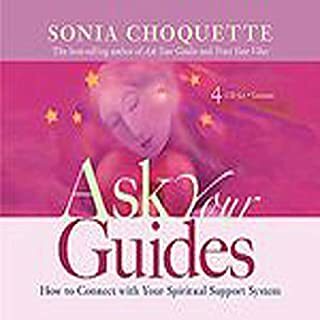 Sonia gives us a thorough introduction to intuition, chakras, spirit guides and more in a no-nonsense book. I loved the meditation at the end also, would like to hear more from her. What did you love best about Your Psychic Pathway? I could really relate to What Sonia was talking about in her book. Allot of things I knew as well,and she confirmed what I knew in my spirit and soul. What did you learn from Your Psychic Pathway that you would use in your daily life? Excellent book, I recommend it to everyone that is looking to improve their path here, keys to knowing how you can make a difference in your life here. Wasn't what I was expecting - felt a bit too, American!! Story's felt, made up. As an Empath, I have no doubt that this was solely made in order for financial gain - shame, but that's just the way too many of us are.......For the time being!! Honest, endearing and encouraging. A great book. I particularly liked the authors use of live materials and published materials. I have read this book following reading a series of similar books by other authors. This book straight away captured by interest and I ended up listening to it twice, as I really valued the teaching within, and it was pleasure to listen to the narrator, who is the author also. I would like to say to the author, Sonia, how grateful I am, for her wonderful and enjoyable guidance. I have now bought four other books from the same author. Would you consider the audio edition of Your Psychic Pathway to be better than the print version? I don't have a print version but I like audio books. She makes it clear that we should all be psychic. What does Sonia Choquette bring to the story that you wouldn’t experience if you had only read the book? I liked her description of our various guides and angels in the unseen worlds. Her voice takes a little getting used to if you aren't American. Great start to tapping in to your higher self and finding peace. 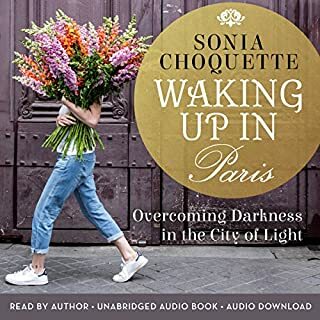 Really love Sonia choquette soothing voice very calming on a bad day. I liked her voice and enjoyed the book. I am a newcomer to this sort of book. The author telling it in her own words with passion. Sonia is an amazing author. This book has wonderful content and is told with pizzazz. She keeps you wanting to hear the next part and is very informed and descriptive with her words. Love her books! Loved it. Would recommend this for beginners and the more advanced in this field of study. best ever, easy for any one to follow and very gental, it is thourough and steps are fun and easy, thank you to this lady for a gift like this. exacly what I needed.